Disclosure: Thank you to the Balboa Baby for sponsoring this content. I received product in order to facilitate this review. All thoughts and opinions expressed below are my own. For more information, please refer to the disclosure that can be found at the bottom of this post. Let's face it. There's a lot of gross high chairs out there at restaurants. Whether they're covered in crumbs, they're all sticky and icky, or are simply in a neglected state where you have to question whether they've been wiped down by anyone in months, but... things can get messy. And that's just talking about all of the stuff we can see. High chairs in restaurants, cafes, and anywhere else can be absolutely covered in bacteria and germs. Which is why investing in a great high chair cover to take with you on family outings is a no brainer! 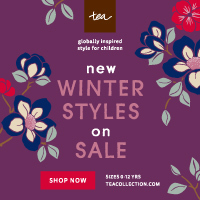 Balboa Baby is your destination for high quality baby products. Adjustable slings, shopping cart covers, and car seat canopies are just a few of the great products available from Balboa Baby! Their newest product line of baby bedding available exclusively at Babies R Us is positively drool-worthy. Find all of this and so much more on their website. The High Chair Cover from Balboa Baby has become one of my diaper bag must-haves. There's no unnecessary bells and whistles here! Just a cushy high chair cover that has all of the essential features, making it easy to use and easy to maintain. The High Chair Cover conveniently folds up into a travel pouch, making it easy to get in and out of your diaper bag, and effortless to contain any messes made on the High Chair Cover during use. I love being able to pull the Balboa Baby High Chair Cover out of the pouch and put it directly into the washing machine once it's been covered in crumbs and anything else. My toddler has never been a big fan of high chairs, preferring to sit on my lap or in a "big kid chair" of his own. But I now suspect its the comfort level that has been the culprit! 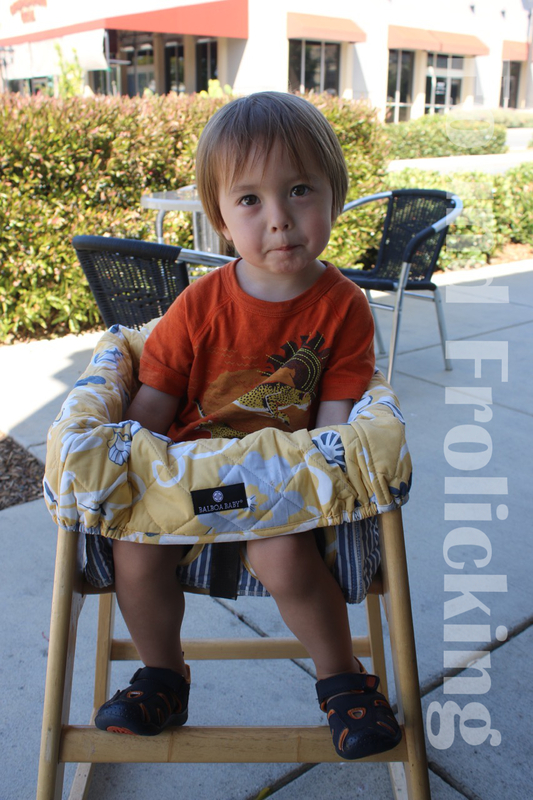 The Balboa Baby High Chair Cover adds just enough cushion to make him comfortable. My busy toddler is finally sitting through meals in a high chair with the help of the Balboa Baby High Chair Cover! Not having to worry about wiping down a high chair after he's used it has also been a huge relief, and a time saver. 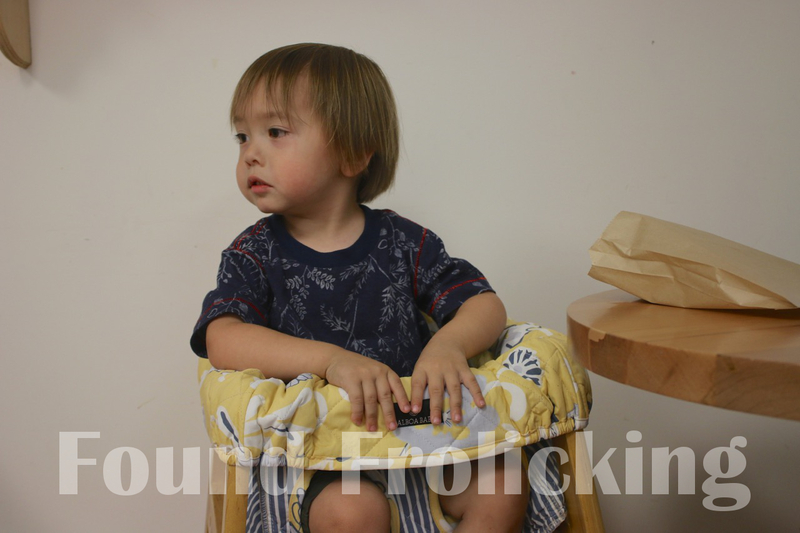 It takes me just moments to fold down the High Chair Cover and slip it right into the travel pouch so that we could go on our way. I find myself using this amazing product almost every day, and have been impressed by how well it has held up despite the abuse any toddler is sure to put it through. 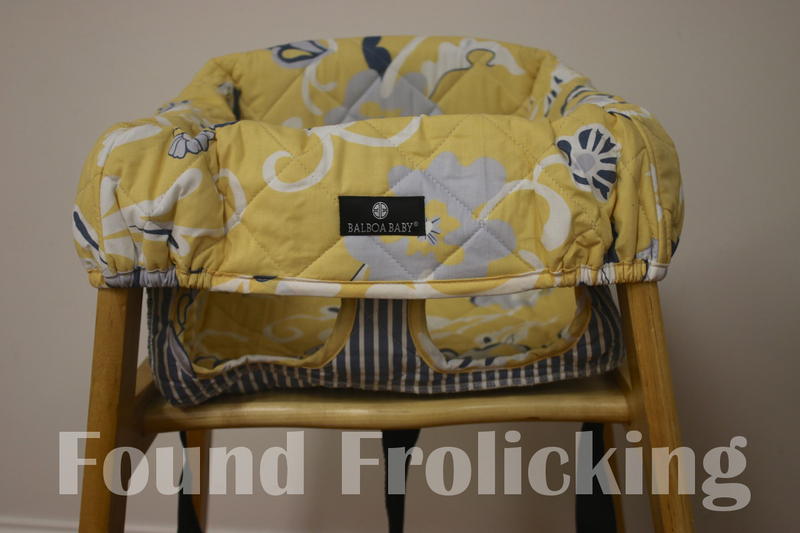 Thanks to the Balboa Baby High Chair Cover, I have a quick and convenient way to keep mealtime and snack time away from home clean, and comfortable for my toddler! You can currently find the Balboa Baby High Chair Cover on sale from Balboa Baby. Hurry and place your order before they're all gone! 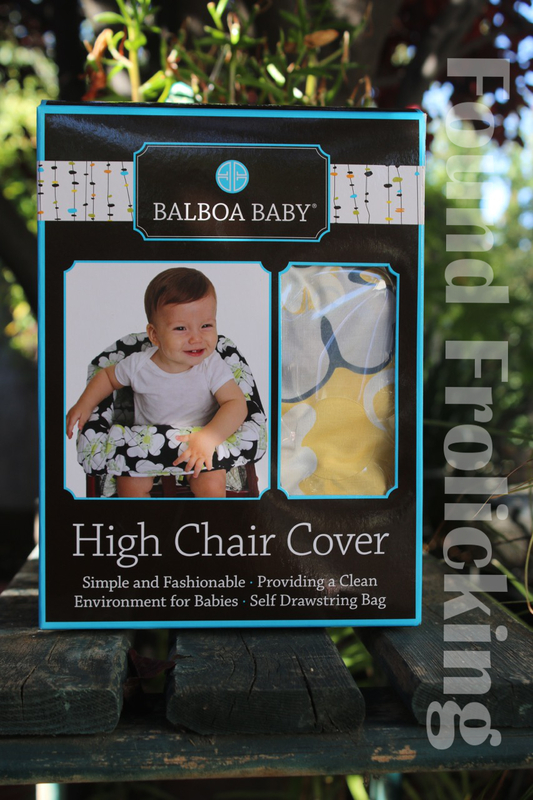 Purchase the High Chair Cover and all other Balboa Baby products directly from their website. Or use their store locator to find a retailer that carries Balboa Baby products at a store near you! The Balboa Baby High Chair Cover as you will find it in a store near you. 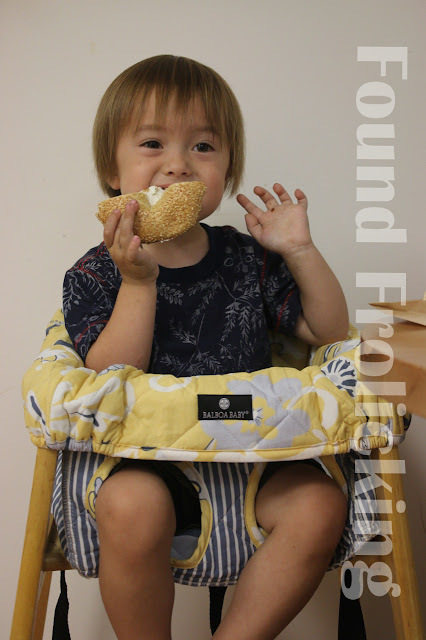 This convenient high chair cover comes in a fabric pouch for easy transportation and to contain any mess. 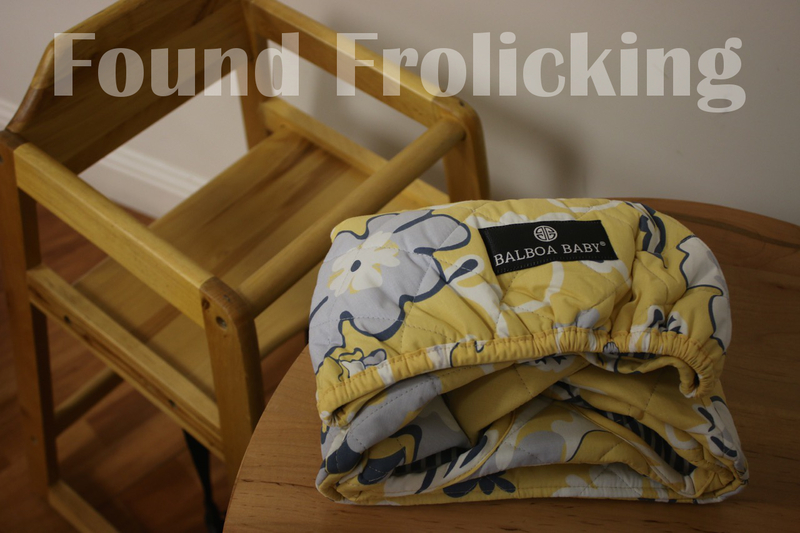 The Balboa Baby High Chair Cover once removed from the carry pouch. It took less than a minute to install the Balboa Baby High Chair Cover, even for the first time! Generous space allow even chunky little legs to fit through with ease, and slits in the sides let you slip the lap belt through. 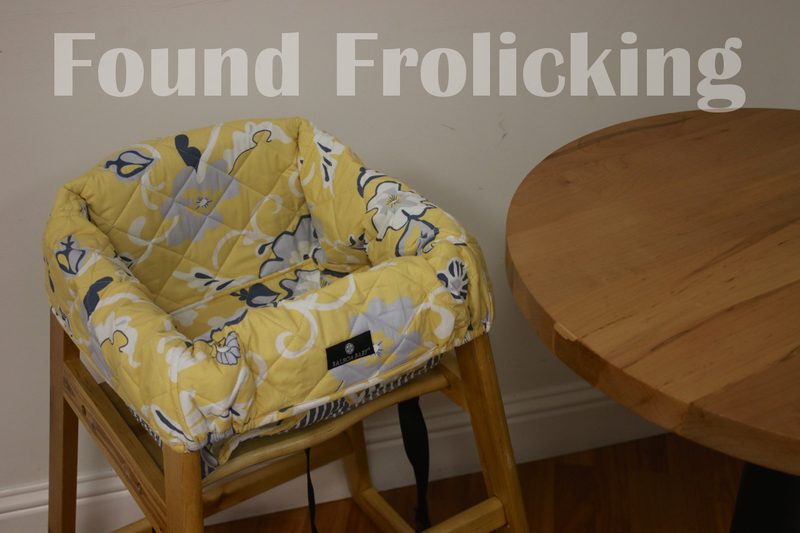 Stylish, functional, and comfortable for your baby or toddler... it's a win all around! Little E sitting in a high chair with the Balboa Baby High Chair Cover for the first time! Snack time and meal time are both a breeze with the Balboa Baby High Chair Cover! My silly toddler tends to let food fall right off his spoon, which is why it's great to have a washable high chair cover. 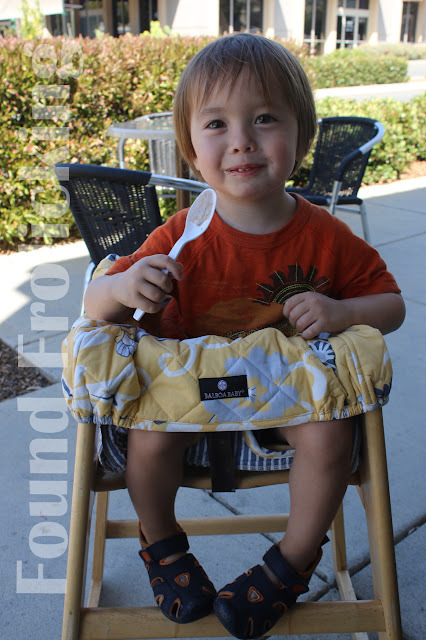 My little toddler is happy and comfortable thanks to the Balboa Baby High Chair Cover! Disclosure: This product was received by myself free of charge, in exchange for an honest review. I did not received monetary compensation of any kind. However, all opinions expressed are my own, and were in no way influenced by the brand or any other sources. The review and all photos with the watermark are the property of Found Frolicking, and should not be used or distributed in any way without first receiving permission. 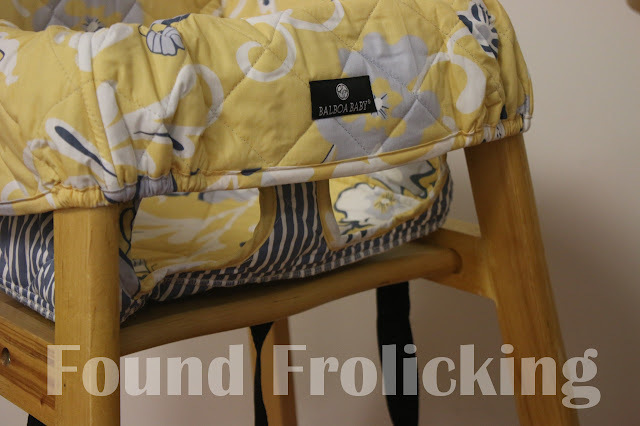 I love how soft and comfy this high chair cover looks! 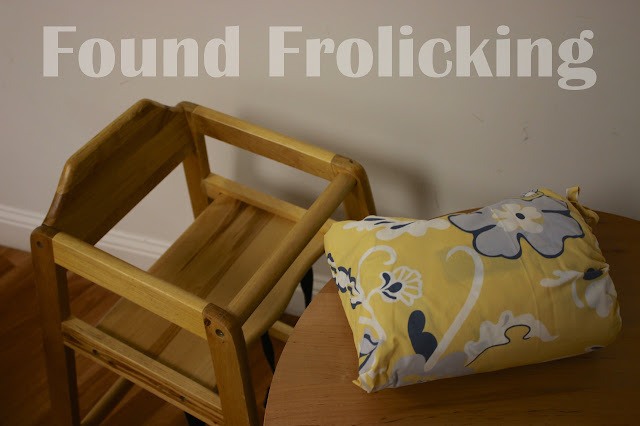 And, that it saves so much work not having to clean every crook and cranny of the chair. I never get it completely clean! Cute and practical, I love it! Kinda makes me want to procreate once more just to have something like this around. That looks soft and comfortable. Your son is adorable! This is really cute! As soon as I saw this I thought how perfect for taking along when eating out. There are so many times that I have refused to place our babies in a diner's highchair because of dirt or fear of germs. 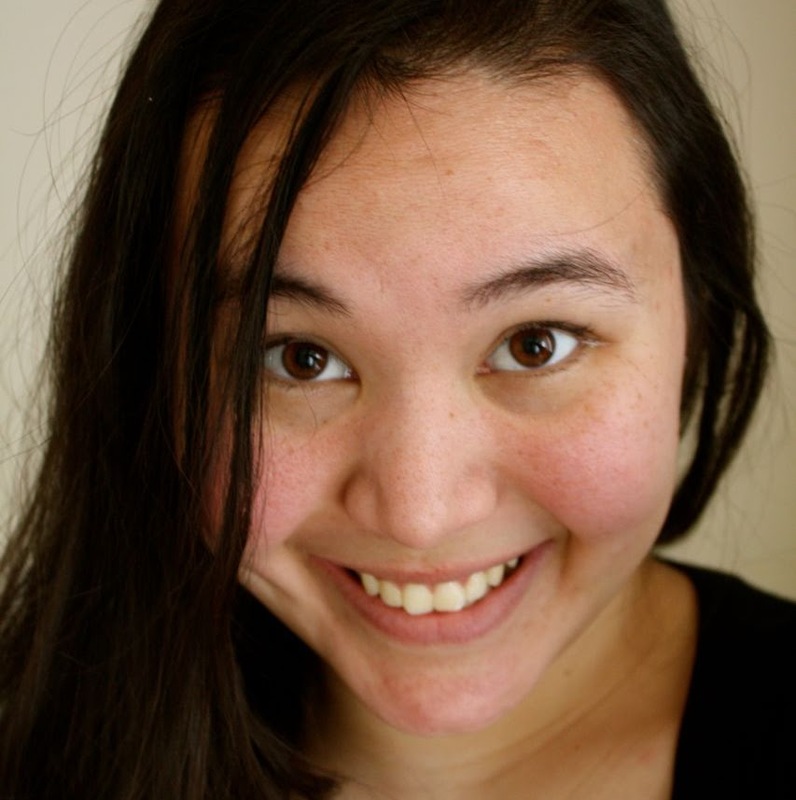 My two kids aren't in a high chair anymore, but my sister would love your review. I'll let her know about this. This high chair is worth a try. we have two of high chair but not good as this. Public high chairs can be quite disgusting. This looks like a great product to prevent that. Your little one looks very cute & adorable. And this high chair cover looks so soft and comfortable for him & the color is beautiful as well. Will definitely check this out for my baby. Thanks for the review. Thanks for sharing, I will check it out.. This is a great product. When I was raising kids we didn't have this. Now this is an awesome product indeed. I do love that idea of having a high chair cover like this for going out to eat etc. This I will have to share with my niece and sister. Thanks for sharing. Thank you for this guidance. its really informative for all.